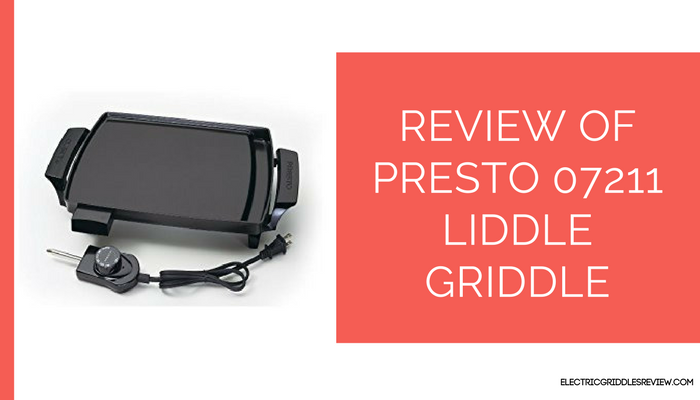 Presto Liddle Griddle is not so big but that might just fit the need of many people. It has a cooking surface of 8.5”x10.5” and weighs 2 pounds. Its size makes it look like a compact version of other Presto griddles. Hence, Presto 07211 Liddle Griddle is ideal for small home and small family and for those who use such appliances occasionally. It can easily handle couple steaks or few eggs and bacon, which is as much as many need it for. The cooking surface has a nonstick surface that reduces the amount of oil needed to cook things safely without sticking. Safety measures need to be taken not to scratch the surface and metal instruments should not be used as they scratch and peel out the nonstick coating. The body of the Presto griddle is made of cast aluminum, which is light and quite rigid, also good for heating evenly. Owners are quite satisfied with the quality but some didn’t think the plastic handles are strong enough and can crack soon. 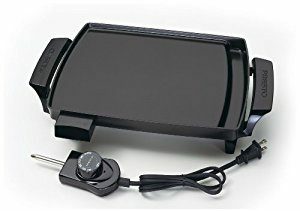 This griddle is a very simple piece of equipment and is basically flat electric griddle. It’s rated 1000 watts of power and that works with any 120v outlet. Temperature can be regulated by a temperature knob, it maintains even heat ranging from an undefined ‘warm’ up to 400ºF. There is a channel along one end that catches grease drippings while cooking. Although it is not big enough to cook for a large family, many have cooked products like pork chops, burgers, and steak on it without any problems. The heat is surprisingly controllable and owners are pleasantly satisfied. This Presto electric griddle heats and cools faster than other griddles, probably because of its size. The Presto 07211 model doesn’t only heat quickly but also maintains the heat temperatures much longer than other models. And this is a very important factor of you want to have another batch of food that you are making. Liddle Griddle is easy to store because of its size. This doesn’t take a lot of space; neither on your kitchen counter when using it nor in the cabinet while storing. You can easily store it in one of your kitchen cupboards. Its legs and also handles can be unscrewed and this feature makes the storage even easier. As easy it is for storage, it is equally easy for cleaning. Detach the temperature gauge and you can immerse the whole thing in warm, soapy water for cleaning. Several owners have put their Liddle griddle in a dishwasher and they don’t have any complaint. Unlike other electric griddles, this one will leave plenty of space for other dishes in the dishwasher. Sinc the grease channel is a part of the machine and can’t be separated, you have to tip the whole thing up to empty it. You don’t want to do when the griddle is still hot but if you wait to cool down, some of the fats will set. This is the only critical comment associated with the cleaning of the griddle. The sturdy cast aluminum body prevents warping and distributes the heat evenly across its cooking surface and avoids hot spots. 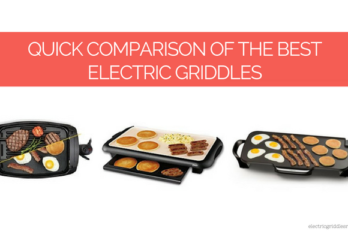 Most of the electric griddles in the market give some sort of uneven heating. Other than the areas over the heating element being slightly hotter, the 07211 unit offers an evenly-heating surface that can easily outmatch many of the top models in the marker, especially the big ones that take much longer to heat. This one is not only easy to handle but also quite affordable than other electric griddles. It is very cheap like other Presto griddles that boast with the most attractive prices in the market. It is ideal for people living on their own, for couples, for students and for those who want a handy additional appliance for occasional use. It does exactly what you would expect of it. It is easy to clean and easy to store. There are very few complains about this and most owners say it is ‘a great little griddle’. 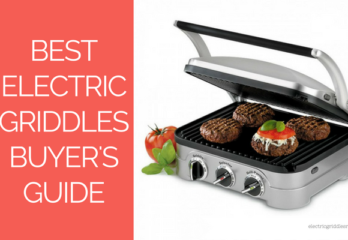 This can easily take the place of electric skillets or gas grills with its only downside being its small size. If you are living on your own or with your partner and don’t really need to cook for larger crowd, this Liddle griddle might be the right one for you. But if you are looking for griddle with spacious cooking surface, you might want to check for other models.